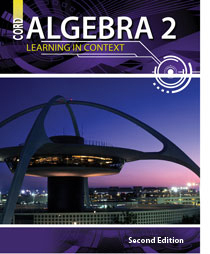 This series of pages contains lessons on multiplying and dividing rational expressions. This series of pages uses several examples to demonstrate adding and subtracting rational expressions. This page contains lessons and practice for simplifying complex fractions. This series of pages uses several examples to demonstrate handling complex fractions. This series of pages uses several examples to demonstrate how to graph rational functions. This series of pages uses several examples to demonstrate solving of equations with variables in the denominator. This page presents strategies for solving rational equations, stressing the importance of checking the results. This series of pages compares and contrasts direct, inverse, and joint variation equations, including practice problems.